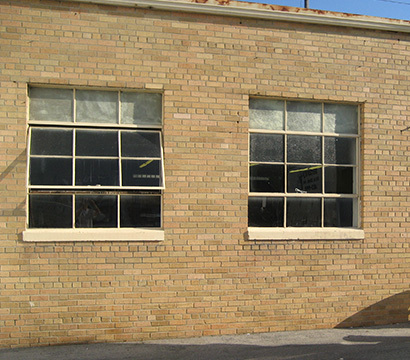 When it comes to fabricating the highest quality glass block window panels, glass block mortar is a thing of the past. We use a premium state-of-the-art technology known as hot-melt adhesive to produce a far stronger, lighter weight, and cleaner than mortared glass block panels. This results in the most secure and durable windows for your home. 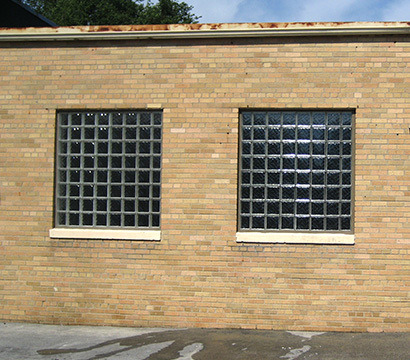 In 2000, Security Glass Block began working with an innovative company in Chicago, which had been developing a better way to fabricate glass blocks into panels for windows and walls. 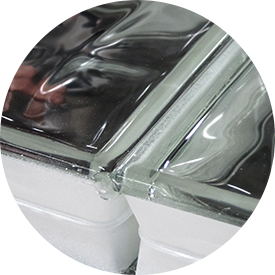 This resulted in a revolutionary technique to assemble glass blocks into panels, using a reactive pressure-sensitive adhesion sealant technology. This technology helps provide an instant bond and cures to a weather-resistant sealant with outstanding durability and UV resistance. The material is extruded by a highly sophisticated German-engineered bulk melter, under high temperature and pressure, by a computer modulated three-axis robot (CNC machine). This innovative technology makes our windows stronger, more durable and have greater light transmission than our competitors. And without the dirt absorbing mortar joints in the “old” glass block panels. 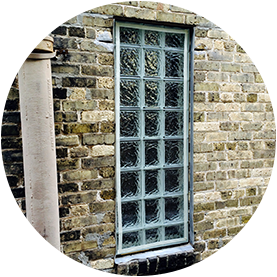 This saves you the time and cost of maintenance when the peeling or crumbling mortar in the old glass block weakens the integrity of the window and exposes your room to external elements. 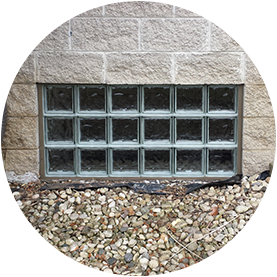 During glass block basement window installation, we remove the entire frame—all the wood—rather than leaving some or all of the frame in place like some companies do to cut corners. For instance, if a particular opening requires sixteen glass blocks instead of twelve glass blocks, we will properly remove the entire frame and install the larger window. The competition might quote you a lower price, but it is possible they are just driving nails or screws into the top of the frame and installing the smaller (cheaper) twelve-block window. Ultimately, the inferior and improper installation will cost you more. For a sample of our assembly and installation differences from our competition, compare us to other options.